Join Willow Bend Environmental Education Center and the City of Flagstaff Sustainability Section for our annual worm composting workshop. 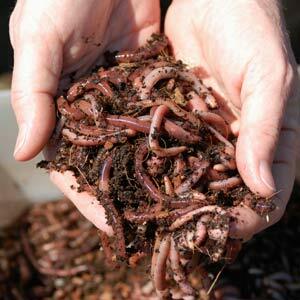 The workshop will teach you how to convert kitchen waste into nutrient rich soil using worm composting. Workshop is open to the public. Cost: $5/participant. FREE to Willow Bend members. Each participant will receive a raffle ticket for a worm composting bin drawing. Spots are limited. Please sign-up TODAY to secure your spot.